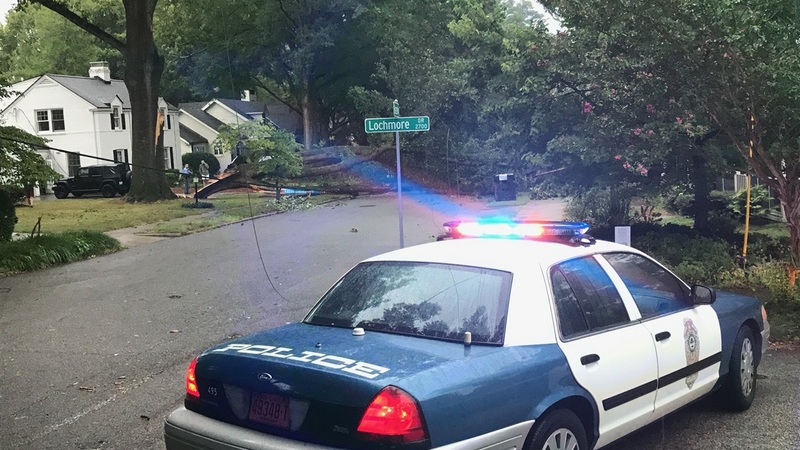 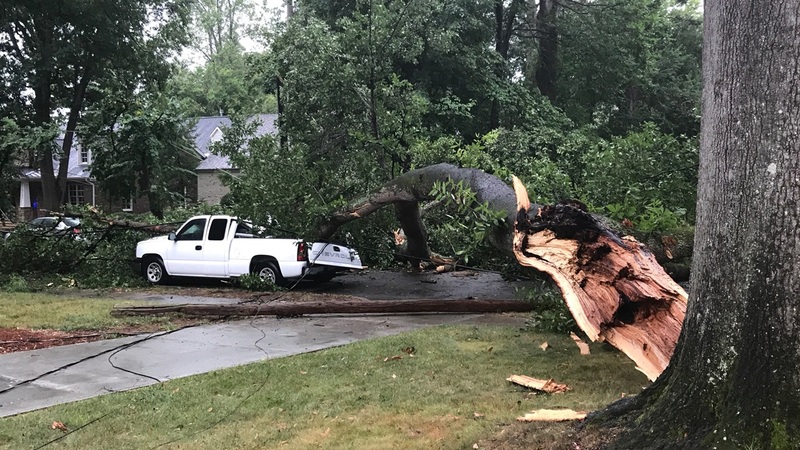 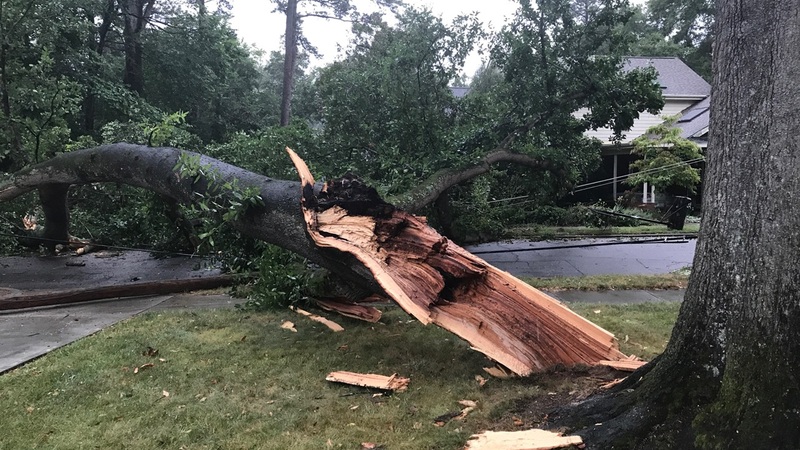 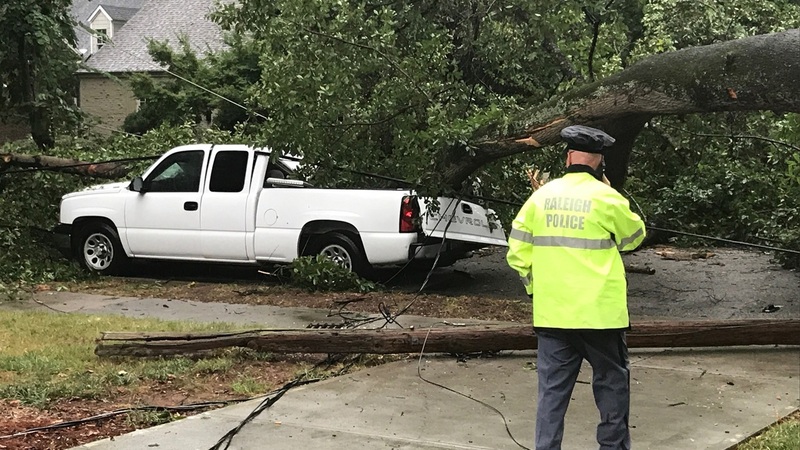 RALEIGH (WTVD) -- A tree fell on a parked pickup truck in Raleigh Tuesday morning, partially crushing it. 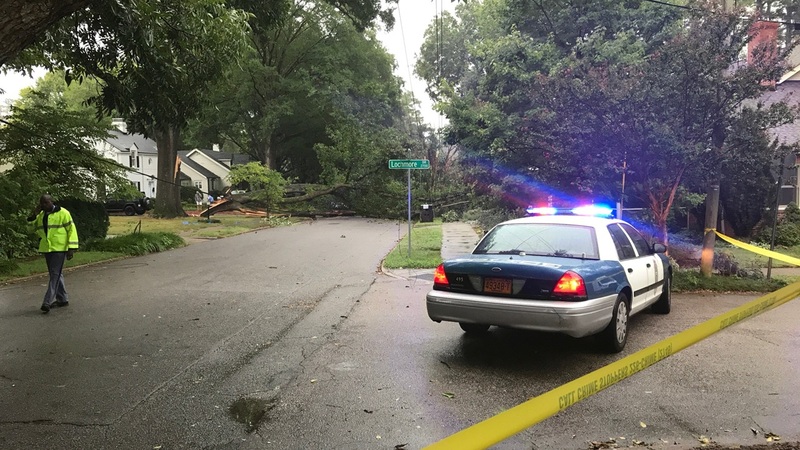 Raleigh police said they got the call just before 7 a.m. on Hazelwood Drive at Lochmore Drive. 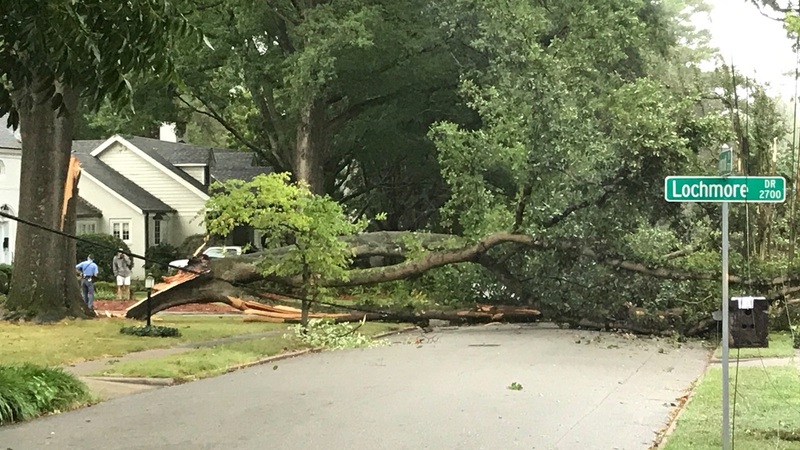 The tree also took down power lines.